On a cold winter back in 1999, my college friends and I decided to spend our last spring break in the exact opposite way of pretty much everyone else. I had received an email from Icelandair with a great deal. For a mere $220 roundtrip each (including taxes), we could fly from Baltimore to Glasgow, spend 3 nights, and then do an Iceland stopover for 3 nights before heading home. Icelandair’s model was pretty simple, and it hadn’t changed in years. Fly people between North America and Europe for cheap, and then sell the stopover in Iceland as a good thing. That basic premise hasn’t changed, but many other things have. With the advent of aggressive competition alongside new aircraft with longer legs and lower costs, Icelandair has had to adapt. Last week alone, it launched 3 very different types of markets. Each one may hold a key to ensuring Icelandair’s future. As is the case with Emirates in Dubai or Copa in Panama, it’s Iceland’s geography that makes Icelandair work. Go back to 1999 and you find a shell of what the airline is today, but the premise was the same. Icelandair would easily fly 757s (and in some markets, 737s) to connect bigger cities in the north and east of the US (along with some Canadian cities) to Iceland. Then those airplanes could continue on to Europe and return, bringing passengers back and forth. That Iceland stop was the key, because it was close enough to both sides of the Atlantic to allow for that narrowbody operation. Anything between the US and Europe (save a few eastern US routes) required a big, expensive widebody. Those lower aircraft costs for Icelandair meant it could offer flights for cheap. And people who wanted to fly cheap (as I did back in 1999) would be willing to make the stop in Iceland. Even better, some people, again including me and my friends, liked the idea of staying in Iceland for a day or two. Fast forward nearly 20 years, and the world is a different place. Iceland’s tourism industry has exploded to the point where many airlines fly into the island’s main airport simply as a destination. Icelandair now makes a fair bit off people who actually want to stay in Iceland, not just pass through. The demand has been enough for a rival to start. WOW and its purple airplanes have been expanding quickly with an ultra low cost model. That demand, however, isn’t enough to support the operations both airlines run. It’s still the traffic between the US and Europe that bolsters both airlines and allows them to fly to so many cities on both sides of the Pond. The beauty of this model is not just the low costs, but it’s also the ability to connect cities via Iceland that haven’t been able to support nonstop service before. When I flew in 1999, it was from Baltimore to Glasgow. The idea that we’d ever see a big widebody serving that market nonstop was silly. And if you had to connect, an Iceland stop was actually one of the more efficient options around. Combine that with low costs and hence, low fares, and you’ve got a winner. But now, the 737 MAX and A320neo families are a threat to the airline. That sounds odd considering Icelandair is putting its faith in the 737 MAX as its future workhorse, but it’s true. With fewer seats and lower costs, markets that seemed silly before now seem possible. Baltimore to Glasgow? That sounds positively massive compared to Providence to Cork… but Norwegian is flying the latter route with MAX aircraft already. It’s going to be a lot harder for Icelandair to make a living when people can overfly Iceland and get a cheap fare in the process. So what can Icelandair do? The airline has started expanding in a way that it hopes can outrun recent aircraft trends. Last week alone, Icelandair added 3 markets in the US bringing its North America total up to 23 destinations, nearly balanced against the 25 destinations it has in Iceland Europe. (In the map above, you’ll count only 21, but that’s because Newark and JFK are combined as are Baltimore and Dulles.) Each of these three new destinations has a different rationale behind it. Possibly the most surprising of all is Kansas City. This summer, Icelandair will fly from its Keflavik home to Kansas City three times weekly. The flight will be operated by a 757, and that’s the key to this service. You can’t fly a 757 from Kansas City to anywhere in continental Europe. It’s too far. So you need to have a more expensive widebody, and so far, no airline has been able to justify that. Icelandair can take passengers from Kansas City and funnel them into Europe (during peak summer, I might add) with a single stop to a whole host of destinations. Sure, passengers can fly with a single stop from Kansas City to bigger destinations already (like Kansas City – Minneapolis – Paris), but Icelandair can make it more convenient, go into many more cities, and allow for that free Iceland stopover. Oh, and it can likely support lower fares. I like this flight’s chances. Back when I flew in 1999, Baltimore was a point of focus for Icelandair in the US, but the airline pulled out and eventually returned to the DC area through Dulles instead. Now, Baltimore is back with four weekly flights to Keflavik on a 757 during the summer. There are probably two things going on here. First, WOW flies to Baltimore already, so there could be something of a turf war. But the more interesting explanation is that this is a localization strategy. If you live in the Baltimore area now, your options to get to Europe are fairly limited. Most options require a traffic-choked drive to Dulles (or possibly a train ride to Philly). Icelandair can make a single stop option out of Baltimore as attractive as a nonstop from Dulles, especially since it’ll undoubtedly be cheaper. As for competing with WOW, Icelandair has a very different product. Half the airplane is either Saga (domestic-style First) or Economy Comfort (premium economy) while WOW is nearly all standard coach seats. That and Icelandair’s superior operational performance will attract a fair number of people over WOW. This is another WOW-competitive market. Icelandair will run 4 daily weekly flights this summer from San Francisco to Keflavik. This is a long way to go, so it has to be on a 767 and not a 757. While San Francisco has more nonstop service to Europe, the number of destinations are still limited. So, Icelandair is going into the primary airport in the Bay Area to open up connecting options. From the West Coast, Iceland is particularly attractive being right on the great circle route, as you can see in the above image from the Great Circle Mapper. It’s 5,038 miles direct from SFO to Glasgow. Going via Iceland adds a mere 6 extra miles to the process. Further, this helps people avoid those long domestic flights to connect through the East Cost to secondary European destinations. It certainly doesn’t hurt that Icelandair’s partner, Alaska, has its new (thanks, Virgin) SFO hub to help feed the flights. It should be noted that in Seattle, Icelandair is up to two daily flights this summer. I like to see Icelandair trying new things, because the same old stuff won’t work in the future. Whether all of these work is unclear, but they are summer-only flights that operate less than daily. These are all experiments worth doing. Actually, these are all experiments that are necessary to make sure Icelandair has a future. SFO-KEF 4x daily or weekly? Whoops – 4x weekly. Fixed. Thanks. The key to Icelandair’s strategy will probably be to keep finding underserved markets and providing a better connection experience than passengers would have going through big NA hubs. It is also important that their prices are good. My in-laws fly YHZ-KEF-AMS often enough to know that Icelandair is usually their best choice, both for price and for ease of travel. It would help Icelandair (and Wow) if KEF had US Customs Pre-clearance. This would make the connection process even more convenient for US bound flights. Wikipedia says that they are under consideration by USCBP, but KEF should be doing everything they can to expedite this. Pre – Clearence is a pain when you are on a connection as you have to claim your bag, go through customs/immigration and recheck. Much easier and faster to just through check bags, move from one plane to the other and clear at your destination so you only claim bags once. Agreed. I always think DUB’s the safe option on EI but the process could be a little more streamlined. You know, you actually raise an interesting point about Iceland’s flights to Ireland: If you’re going from Ireland (DUB, or Shannon, not Cork) to the US and need a connecting flight, Iceland’s options are less attractive since you could if you connect in the US, you get to go through pre-clearance in Ireland. Pre-clearance only truly works for Canada. I’ve also tried it at DUB and AUH, and both were major pain-in-the-***. You have to leave the lounge super early, so through the mess, then both times were inside small, crowded waiting areas with poor air circulation and with the absolute bare essentials for survival, like a water fountain. It works great in Canada because post-PreClear, they present you with a full-scale terminal that one should expect. Not for DUB or AUH. It might be worthwhile for KEF to build a US-bound wing for all of the regular services post-preclear if they get pre-clearance. They have a lot of US bound traffic. Though maybe I should shut up, since they would end up with a big Shengen area, a big US-bound area, and a 3rd rate “other international” area for me to go home to Canada. I guess I’d be sitting with the UK bound passengers so there it probably would have a few services. How convenient are the schedules and connections in KEF, in terms of avoiding red eyes (or having flights long enough to get some decent sleep in, if they are overnight) and reasonable layover times for US-KEF-Europe (and vice versa) itineraries? How much of a pain is it to do international connections in KEF, in terms of security etc? It’s pretty smooth at KEF. A few times coming from the US (MSP, BOS), we’ve landed earlier than the customs was open. We had to wait about 20 minutes. Other than that, it’s a breeze. You pass through customs, Iceland is Shengen, so no need to go through customs upon arrival in Europe. Security is simple, I can’t recall if you go through security again in KEF, I don’t think you do. It’s a small airport, not a lot to do, so short layovers are best. If you have a layover of more than 4 hours, take a side trip to the Blue Lagoon and relax for a few hours. It’s about 15 minutes from the airport. You still have to go through customs at your final Schengen destination (it’s not at the first port of entry, like in the US), but that is pretty seamless – just walk your bag through the green lane. What you complete in KEF is Schengen immigration (passport check). Really? Last year when I went to VIE via connection at CDG our customs was all in Paris. Walked off the plane in Vienna straight to the train into the city. I didn’t have checked luggage so not sure if that changes anything or not. Was impressed with how quick it was. Kilroy – The schedules are actually very good. These are optimized for an early morning arrival in Iceland with a quick connection beyond. Then the return is later in the day to allow for a not-too-early departure from Europe. Skimming through their winter timetable I can definitely see the morning & afternoon banks in KEF. Not sure what their minimum allowable connection time in KEF is, but there look to be a lot of ~1-2 hour connection opportunities. That’s great for those who want enough of a break to stretch the legs without having a long wait. Also impressed that IcelandAir claims to have some decent in-flight WiFi coverage and offers it for less than 10 Euros a flight. Will have to consider them the next time I look to travel to Europe, especially if they serve DTW by then. Kilroy – Incredibly, Icelandair will allow connections as short as 25 minutes. Wow. I’m can’t think of any airport or itinerary I’ve flown where I’d be comfortable doing a 25 minute domestic connection, let alone an international connection. As Cranky already said, they optimize their schedules well. Both for passenger convenience and for aircraft utilization – aircraft come overnight from the US, leave for mainland Europe in early morning, turn around and come back to Iceland in the afternoon, then head for the US. Results in great aircraft utilization times compared to legacies flying somewhere, then sitting on the ground for half a day waiting for return flight. Looks like nobody addressed your avoiding redeyes/flight length question. All US to Iceland flights are redeyes, with an early morning arrival into KEF, usually 5-7 am. Flight lengths are OK from most of the central and western states. I didn’t check all routes, but DEN, DFW, SEA, and SFO all clock in at 7-8 hours, so you can get a reasonable amount of sleep. East Coast – Iceland is pretty brutal, though. BOS-KEF for example is 5 hours gate-to-gate with a 5:15 am arrival into KEF. It’s interesting because Icelandair used to do daylight flights, but I don’t see them in the schedule this summer. yes, if you click on the link, it’s 4x a week. Bill – That’s the standard Icelandair product. Thanks. For some reason I read that as a unique differentiator in the Baltimore market. Doesn’t BWI still have the daily BA flight to LGW? Regarding the different product being offered at BWI, where else will that be offered? With all these US destinations, it seems like it will be confusing if different on board products are offered from different markets. As in I would definitely fly from BWI instead of IAD if the price was similar but I knew it was an all premium (premium economy anyway) product. BA has a daily BWI-LHR and now use a 787-8 instead of the 767. I think BWI is underserved in the international/Europe market given the wealth in the market and the ease for many in the Maryland DC and Baltimore suburbs. I’m surprised Norwegian has not added BWI flights to Europe. Part of the challenge is a lack of feed. With SW dominating the BWI market, you only have O/D PAX and I think that scares off some of the carriers. Agreed, and selfishly I’d like to see more since I live very close to BWI. As long as Icelandair is coming back, why not KLM too :-) I’d love to see Asia service and I know that is a goal for airport officials. I don’t see how they are doing anything radically different to what they have done in the past, which is to offer a plethora of connecting points on two continents that themselves are very thin point-to-point routes that could not be justified even if the aircraft to do it directly existed, through a hub. Incidentally, in 1999 you would have paid more air fare to take an Iceland stopover, they didn’t give them away as a loss leader. And let’s see what happens to Providence-Cork. Let’s see what happens to Norwegian for that matter. David – We didn’t pay more in 1999. It was a special e-fare which back then involved signing up for the Icelandair email list to get occasional promotions. The funny thing is we then had to call them directly to book. Plus Icelandair is using their partner Air Iceland’s Q400s to connect some thinner dots – Aberdeen, Belfast and Akureyri – where the 737 is too much airplane. My first trip to the USA was way back on 1999 or maybe 2000 or 2001 courtesy of Icelandair who were offering a travel agent fam trip to their new destination… Baltimore. Seems Cranky had a similar spring break idea as I did. In 2001 some friends and I did MSP-KEF-LHR then took an EasyJet from LUT-PMI. Did the whole works for about $400 r/t. Actually Icelandair was my go-to airline for getting to Europe in the early 00’s. They were an effective airline for a time when my income wasn’t exactly adaptable to a jet setting lifestyle. I haven’t given them much thought for years as I haven’t had an issue with the fares crossing the pond direct into CDG or AMS, and being on an A330 for a long flight is much more pleasurable than a 757. Granted, KEF is a far easier place to change planes than CDG or LHR so that could be a selling point. Still, I’m thinking their strength is in the Allegiant model taking the smaller market airports to Europe. Will be interesting to see how MCI works out for them. I first flew Icelandic on a DC-6 in1966 via KEF returning from a year abroad(no jets then).in 1970 my wife and I returned to Europe BWI-LUX- now on a DC-8. Bought a sweater at the IceMart duty free At KEF which I still wear. Here’s a Bloomberg article from last night, describing how KEF plans to use $1 billion in investment to double its capacity over the next 7-8 years. The boss of the state-owned company that manages Iceland’s airports even describes Keflavik as the “family silver” of the Iceland government. “against the 25 destinations is has in Iceland?” I think you meant 25 destinations it has in Europe. That’d be a hell of a feeder network, though. Chris – Oops, you’re right. Fixed. KC is paying huge incentives for Icelandair service. Nice to have it tho, as a KC flyer. I think you mean 25 destinations in EUROPE. i don’t even think there are 25 airports IN Iceland! Very good article in addressing the shifting industry trends. Icelandair did have a unique business model that Wow is trying to duplicate. The competition isn’t just narrowbody MAX/NEO nonstops from N. America to Europe but also ultra low cost carrier widebody nonstops that more closely duplicate the actual nonstops people want to fly – Paris, Rome, London – than a low fare that is possible because of a stopover in Iceland. Add in that legacy carriers on both sides of the Atlantic are becoming increasingly more competitive with low fares via multiple strategies and the idea that you have to stopover someplace that is of interest one or two times for most people seems dated; the greatest transatlantic market demand will always be to the largest cities on both sides of the Atlantic which Icelandair doesn’t serve nonstop. They will compete for the smaller markets but there are many other low cost options to do that as well. Transatlantic air travel will grow because of low fare markets; Icelandair will benefit from that larger growth but isn’t likely to grow disproportionately faster than other low fare alternatives, including legacy carriers’ low cost offerings. DOT transatlantic boardings for the quarter ended June 2017 show that Icelandair was #12 when ranked by the absolute numbers of increased boardings on a year over year basis between the US and Europe. The largest five were American, Delta, Norwegian, Wow and Aer Lingus. Even if year over percent increase in traffic is used, FI ranks #14. Wow is once again near the top of the percentage change list. The data unequivocally shows that Icelandair is increasingly competing with Wow for passengers that have other low fare options including on legacy carriers and low cost/ultra low cost carriers that fly nonstop across the Atlantic. How do you think this compares to the ME3 challenge? Shouldn’t the US3 be focusing more on fighting carriers like this which threaten more of their highly profitable US-Europe traffic across many more US points than the ME3 (well, ME1 +2)? Seems like the the Icelandics have moved in relatively ignored or unnoticed. Rob – Not much to fight here. Icelandair doesn’t really have any kind of massive subsidy or governmental advantage like the ME3 do. They’re making moves based on market realities. Right. While there seems to be a huge bubble in US-Iceland air service right now, this involves free market competitors and the situation should sort itself out on its own. If flights are unprofitable — and I’m certain many are — they will be ended. This is VERY different than the situation with the ME3, where the US airlines have to compete with heavily subsidized Middle East airlines who have no need to make profits, or even get anywhere close to break-even on their flights. You need a reality check. Etihad is pulling two US destinations (Dallas and San Francisco) and reducing a third (LAX). Qatar is reducing capacity in several markets by using smaller 787s and a350s instead of 777s. Even Emirates is reducing capacity, pulling frequencies in market such as JFK, SEA and BOS, while downgauging in others (DFW, IAH). Those are all examples of responding to market realities. Besides, the vast majority of passengers on those planes are going to cities in India, Pakistan and Bangladesh that US carriers and their European partners don’t touch (Good luck getting to Dhaka, Multan, Kochi, Thiruvananthaparam or Ahmedabad, etc, on United/ Lufthansa it delta / Air France for example). Carriers such as Icelandair and Wow are the biggest threats to US carriers due to their direct pressure on fares when they bring capacity into the market, not airlines carrying people to places the US carriers and their partners don’t go to and haven’t gone to. Please. All that proves is something that everyone knows: no entity can afford to lose unlimited amounts of money forever. While the Emirs may be willing to lose billions to subsidize their airlines, even they won’t/can’t grow those subsidies to the sky. If a route because even more of a money pit, a subsidized airline will eventually scale back. I think the largest net result of uneconomic airline business models (whether subsidized or just bad business models) is the streamlined efficiency of the major carriers. Delta, for example, is about to start charging bag fees across the Atlantic so it can match some of the lowball prices of the budget carriers. This is exactly the same effective strategy they have deployed domestically against Spirit and Frontier. It will certainly be bad for those of us who “game” these low fares for comfortable transatlantic travel at cheapskate prices. I’m also sure it will be bad for airlines like Wow and Icelandair, making their business models even more questionable. The little guy often does not win in business. Excellent explanation to all of this, thanks. Iceland is certainly interesting. Just wondering, how has US-EUR and EUR-US traffic been doing, not load-factors, just total numbers of people? 2017, for example. I, for one, try to make a DC to Switzerland retirement-vacation trip every year, or every other. Nothing beats Switzerland, but Scandinavia is also a treat, but with the world as it is…? This past year I did DC to Alaska, instead. Probably to Hawaii this year, nothing to Europe. Pattern changes of Americans to Europe and Europeans to America? jaybru – I don’t have those numbers, but I can only assume they’ve been going up with so much more capacity out there. There really isn’t a bad place to fly in the continental US during summer to connect to Europe. Throw a dart at a dartboard and they can probably make it work. It’ll be interesting to see how they manage capacity in the off-season. They are smart to compete head-to-head with WoW on some routes while opening up new doors like MCI. DFW on the other hand might be a good old fashioned “investment” for all parties involved. The biggest challenge I see with IcelandAir’s network is that it doesn’t cover much of Southern or Eastern Europe, and KEF’s location is such that those locations (think: Rome, Naples, Budapest, etc) carry more of a time/fuel penalty connecting from the US/Canada in KEF instead of connecting in Northern Europe. I know that Southern & Eastern Europe aren’t necessarily huge tourist destinations for Americans & Canadians, but IcelandAir still has very few connections from KEF to Spain and Italy. As a thought exercise, I wonder if another airline could try to turn PDL in the Azores into a KEF-style hub. The distances look pretty similar or a little better on some x-ATL flights to Southern & Eastern Europe, at least from the US East Coast, and I would think that the Azores might hold some appeal as a tourist destination in their own right, but I’m not sure how the winds aloft and jet stream typically play into flights to/from the Azores. Thoughts? I’m guessing the lack of destinations in southern and eastern Europe might be a plane utilization issue. The same plane needs to complete a U.S. roundtrip and a Europe roundtrip in 24 hours, and this limits the distance it can fly. Kilroy – I think the problem with PDL is a) Americans don’t really want to go there on a stopover, b) there isn’t a local population to speak of to fill flights, and c) it’s not geographically advantageous for most US-Europe traffic. Is Icelandair a publicly-traded company? Do we have any window into their finances? The idea that Iceland would make a good transatlantic hub airport seems pretty ridiculous to me. I think I can safely say that hubs only work when there are not good nonstop opportunities. Atlanta wouldn’t work if all these mid-sized Southern cities had nonstops to every place their residents wanted to go. Similarly, Copa’s Panama operation (which is truly blessed by crazy good geography and little competition) fills an obvious need for hub connectivity. But Keflavik? I’m sorry, but there is essentially zero reason to connect there unless you can save a considerable amount of money. First, in this day and age, most transatlantic markets with any measurable “traffic” have nonstops. Second, the markets that don’t have many connecting options over hubs that are ridiculously stronger than KEF. And those hubs are operated by very large and very well established competitors who have aircraft and service levels that are likely to be much more comfortable than that offered By Icelandair. And you don’t have to get your sleep disrupted by a mid-Atlantic stop in a bad-weather-prone airport. Which leads to the last major issue with Iceland stopover flying. It has been widely understood for decades that “the math” which makes transatlantic flying “work” is premium class passengers. That’s where the money is made, especially when you consider a 365-day-a-year-operation. The folks in the back are just filling up space to allow the airlines to serve the premium clientele. Well, airlines like Icelandair get no premium traffic and have to rely on the bottom-of-the-barrel of leisure travellers: the folks for whom price is everything. I’m waiting to be proven wrong, but Icelandair’s business model seems set up to be marginal at best. Thanks. I googled your link and can’t immediately find much about their recent financial performance — except that their stock has done quite poorly the last couple of years. This would hardly be surprising given the Iceland air travel bubble and the growth of other low-cost transatlantic competitors. And, sorry, “Anonymous”: I’m not calling you personally “bottom of the barrel,” I’m calling the likely yield performance of Icelandair bottom of the barrel. It would, candidly, be nuts to book a ticket from the USA to Europe on Icelandair unless you were saving a boatload of money. It would just make no sense, unless you were planning on stopping over in Iceland. BTW, I’ve been to Iceland, and liked my visit, but I would not recommend a visit to 95% of travellers. The costs on the ground were bad then, and the greatly increased value of the Iceland Krona would now make costs horrific. Reykjavik is nothing special; what is special is the countryside/wilderness. It’s kind of a European Patagonia; good for folks who like the outdoors and don’t mind simple accommodations and simple food. But it’s terrible value now (other than the affordable airfares due to over-competition). With the large Alaska presence, would SAN be a possibility or is it out of range for even the 767? Rico – I would think a 767 could probably do it, but I don’t know if the runway length would be a hindrance. BA sometimes uses the 747 on the LHR-SAN route and Edelweiss uses the 340 to ZRH, so runway length should be enough. The 340 takeoff though is quite a sight and sound experience from the ground because that bird is heavy. Rico – Oh I forgot abut Edelweiss. If that A340 can get off the runway to Zurich, then a 767 has to be possible. Lufthansa is also running an A340 now, it seems. The Lufthansa A340 hasn’t started at SAN yet. 767 shouldn’t be a problem either, Condor did SAN to FRA with it last summer, and several years ago Zoom did SAN to LGW. Iceland Air just hosed us on a flight from Tampa. Had a 3 hour layover in BOS. They changed it to 8 hour layover and overnight flight (with 6 kids). Booked us on a flight we didn’t want and refuse to let us cancel without big fee. First time we booked IcelandAir and will definitely be the last! That doesn’t sound right, Peter. I would call back and ask to speak to a supervisor. 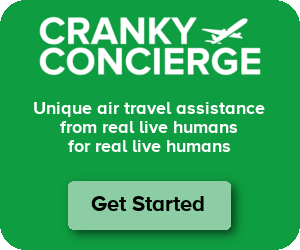 FWIW, I’ve rebooked/cancelled flights dozens of times for myself and family/friends and never had an airline refuse to give us our money back in a situation remotely like yours. Does anyone know if there’s any specific federal law that requires it? Is this something just governed by the never-read contract of carriage? FWIW, if you read through internet reviews, though, you will see a definite pattern of small low cost airlines having problems during schedule changes and irregular operations. While most flights go off without drama, your chances of running into a “big problem” when you book with a low cost carrier are significantly greater than if you book with a major airline. You have to decide whether the cost savings are worth this risk. Your last paragraph is part of why I try very hard to avoid flying Spirit and Allegiant, and advise my family to do the same. Booking a route that only has 2x or 4x weekly service is a little easier to justify on an international flight, but if something goes wrong it’s not hard to lose half your weeklong vacation. On a domestic route, I find it very hard to justify booking a route with that kind of limited frequency, unless your budget and prices are such that you don’t have another choice. Plus, the bigger carriers usually have better plans and more slack in place when things go wrong. I’ll fly LCCs and ULCCs often, but only on routes they operate at least daily. Not worth the potential risk and wasted time off for me otherwise, but that’s just me. Does Icelandair (or WOW, for that matter) have interline agreements with any of the major US or European airlines to re-accommodate passengers in the event of irrops? Anon – Yep, they have agreements with pretty much everyone.